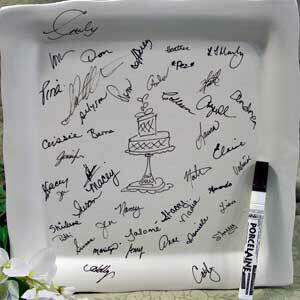 “Make your mark” at showers,weddings and other significant life events with a Signature Memories plate or platter. Choose a stock design or let us customize one for you. 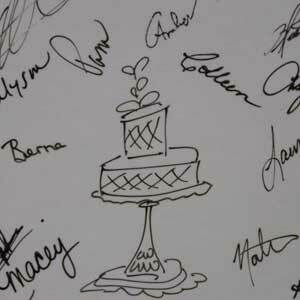 Each handcrafted Signature Memories piece comes with a special pen that allows you and your guests to “sign” the piece. After 35 minutes in your home oven, the signatures are permanently fixed. What a lasting memory!